​Wheel locks will definitely help you to save a lot of money. When you have new rims and tires, people admire them but thieves also see an opportunity. It is easy for a thief to make away with your new wheels if they have the right tools such as lug nut wrenches the size of your wheel nuts. To protect yourself from being robbed and losing a lot of money, you should use wheel locks. These are specialized lug nuts that are used instead of your normal or original wheel nuts. You can use them to replace one or more of these original studs. They are special because they only fit in with wheel lock keys. A wheel lock is compatible with a wheel lock key. If you want to remove the wheel lock, then you would need to have the key for the process to be easy and smooth. If you cannot find your wheel lock key, bust out all the moves. Check in your tool boxes – those you use frequently and those you don’t, ask anyone you might share the car with or your mechanic if he or she has recently worked on your vehicle. This wheel lock key will make it much easier to remove the wheel lock. ​Taking Precautions: You must always make sure that your car is parked on a flat surface before you embark on this process. In addition to parking, it is important to have the handbrake in place to ensure that your car does not move in the process of removing your wheel locks. If you would like extra precaution, it is best to chock the wheels of your car just to ensure that the car is steady and in place. These precautions might seem unnecessary but they are for your safety. ​Positioning Your Key: The second step is to position the key by aligning it with the wheel nut. The spaces in the wheel lock key should fit onto the lug nut. Once it is securely in place, you can then come in with your lug nut wrench.The second step is to position the key by aligning it with the wheel nut. The spaces in the wheel lock key should fit onto the lug nut. Once it is securely in place, you can then come in with your lug nut wrench. ​Loosening and Removing the Wheel Lock: To loosen the wheel lock, you should rotate the lug nut wrench in an anticlockwise manner. This process will require a considerable amount of force to loosen the lock. Once the lock is loose enough, remove the wrench and continue to remove the lock with your hands until it comes off. 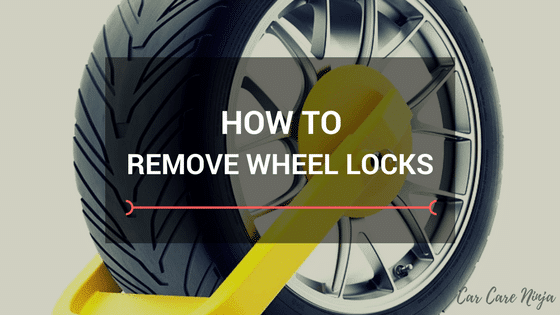 Using power tools for loosening and removing the wheel lock might seem like a good idea but it is not. Power tools have a lot of force and will damage the wheel lock and the lug nut in the process. Avoid these tools and stick with the wrench. ​The truth is, no matter how hard you look, it is very possible to find that the wheel lock key is misplaced and you have to find another way to remove your wheel locks. While you might get the wheel locks off, the process damages them beyond repair and they cannot be reused. You would have to buy new wheel locks after this process. ​Taking Precautions: It is always important to ensure that your vehicle will not roll away or move as you remove the wheel lock. This can be dangerous, leading to accidents and damage. Always ensure that the car is parked, handbrake applied and wheels chocked if possible. ​Fitting the Universal Wheel Lock Tool: Since you do not have the wheel lock key, you will be using a universal wheel lock tool. It has some teeth within the barrel which should fit onto the wheel lock. To do this, fit the tool onto the lug nut and hold it in place. With your rubber mallet, hit one end of the wheel lock tool. During this process, the tool’s teeth carve into the wheel lock. Continue hitting until the lug nut fits snugly into the tool. ​Loosening and Removing the Wheel Lock: Proceed to use your lug nut wrench by fitting it onto the universal wheel lock tool. Turn it anticlockwise to loosen the wheel lock. The process might require significant force to loosen the nut. Once it is sufficiently loose, continue turning the wheel lock tool with your hands until the wheel lock comes off. ​Separating the Wheel Lock from the Wrench: Unlike with a key, you will need to remove the wheel lock from the universal tool. To do this, take your screw driver and insert it into the barrel of the universal tool. Use your mallet to hit the screwdriver until the wheel lock pops out. At this point, you can visually inspect the wheel lock. It will be ruined by the teeth inside the universal tool’s barrel since the latter was not designed to fit on the former. ​The process of removing a wheel lock without a key is hectic enough to show you that you need to take care of the key. You end up ruining your wheel lock and this would mean changing out all of the wheel locks since it is hard to find a replacement for just one. Replacing these locks costs money. It is therefore important to immediately keep your wheel lock key in a safe place once you buy and install your wheel locks. This way, you will always know where it is whenever you want to remove your wheel locks. These wheel locks are bought and used to save you money since replacing your wheels is costly. If you do not take good care of your key, however, you will still end up wasting money by replacing them every time you remove them with a universal wheel lock tool kit.